.These sessions are when we look after the trees and check what needs to be done. For each season we will check the health of the trees, attend to any pests and diseases, and make the orchard look as beautiful as possible. It’s vital work to keep the orchard going and we rely on our volunteers to look after these trees, so we really appreciate the help. You don’t have to stay for the whole session, just come along when you can. Superivised children are welcome but please note we have no toilet/hand washing etc facilities on site or nearby. Please wear clothes suitable for outdoor work. So begins the traditional Wassail carol – celebrating Christmas, winter and the bountiful harvest to come. 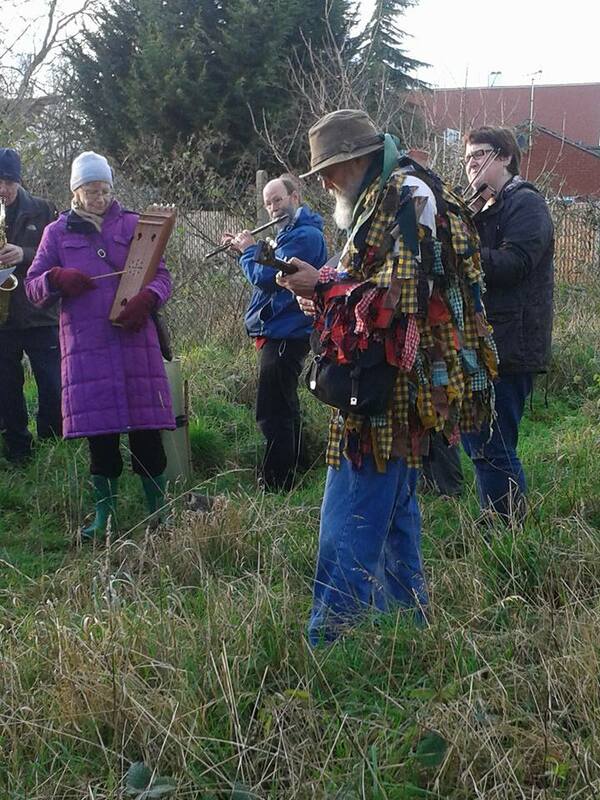 Our own orchard wassail is a bit of a tradition in its own right, having been going for a mighty ten years. 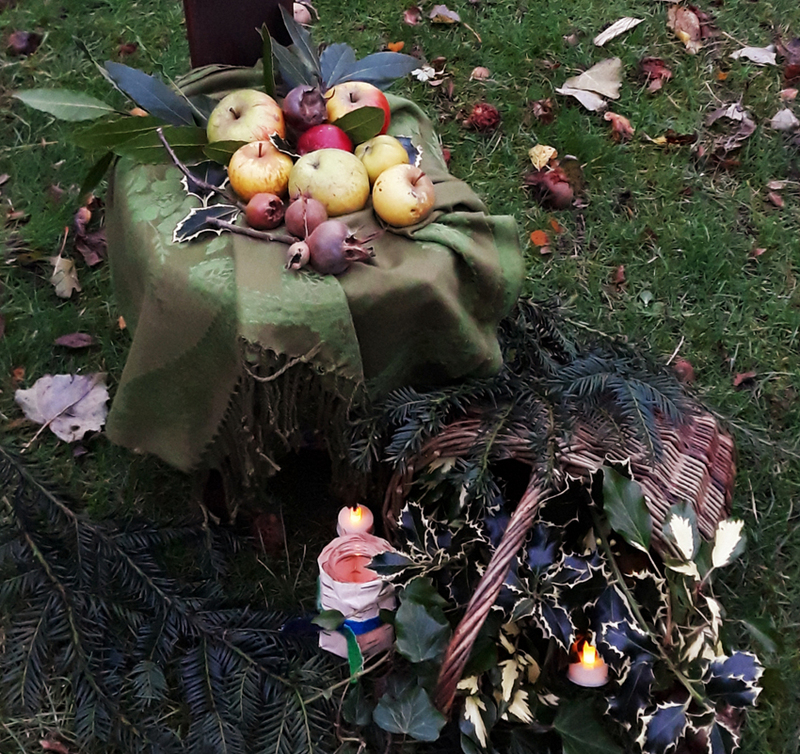 This year we have story telling for everyone, a great way of setting the scene and leading us into the fun and mystery of singing to apple trees as darkness falls. Come and see us. It’s free (although donations are much appreciated) and it’s suitable for all the family. Because we’ll be outside in an orchard, wear warm clothes, bring a torch. Dressing up is encouraged – it’s usually Holly Kings and Ivy Queens but we have had a 6ft tall penguin come along in the past, so anything goes!